This year at the Geneva Motor Show Maserati unveiled their Alfieri concept which hints at a new design language that Maserati says will carry on to models in the future. We’re not sure if this vehicle will go into production or not yet, and neither is Maserati. They are waiting to get more feedback on the concept before making that decision. “I sincerely can’t say that we’ll see this car in production in two years’ time, but I’m certain we’ll see something very similar,” said Lorenzo Ramaciotti, global head of design for Maserati’s parent company, Fiat. 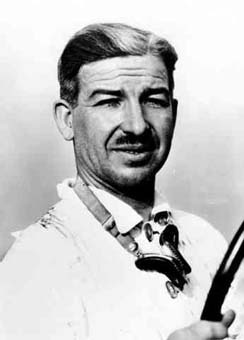 The name Alfieri comes from one of the Maserati brothers who founded the company years ago. This concept is originally based on the GranTurismo chassis, with a bit of a shorter wheelbase that is 9.5 inches shorter. This concept is powered by the same 4.7-liter V-8 as the GranTurismo, but achieves 460 horsepower and 383 lb. ft of torque! 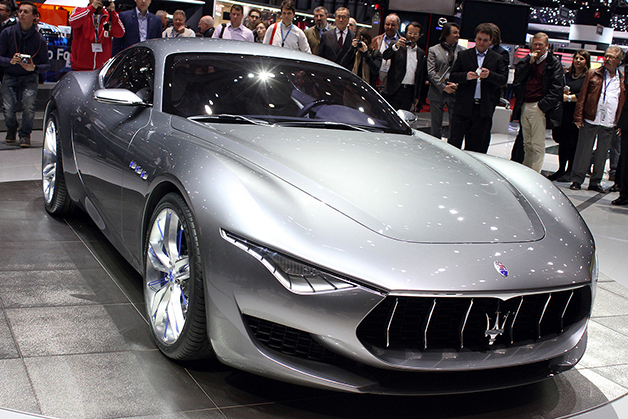 We’ll be sure to update you as soon as we find out more about this hot new concept vehicle from Maserati. Check back often for more info or head over to Morrie’s Luxury Auto website to check out some of the other great inventory we have on display! 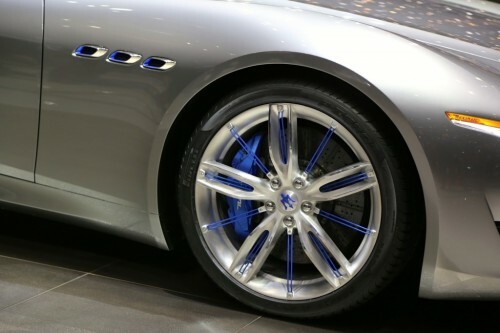 Print article This entry was posted by Alex Bellus on March 5, 2014 at 4:29 pm, and is filed under Car Shows, Just Landed Cars, Maserati News. Follow any responses to this post through RSS 2.0. You can leave a response or trackback from your own site.